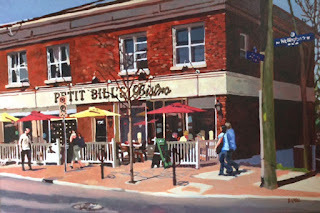 The Kitchissippi Museum: Petit Bill's Bistro's 10th Anniversary & their vintage West Wellington building! 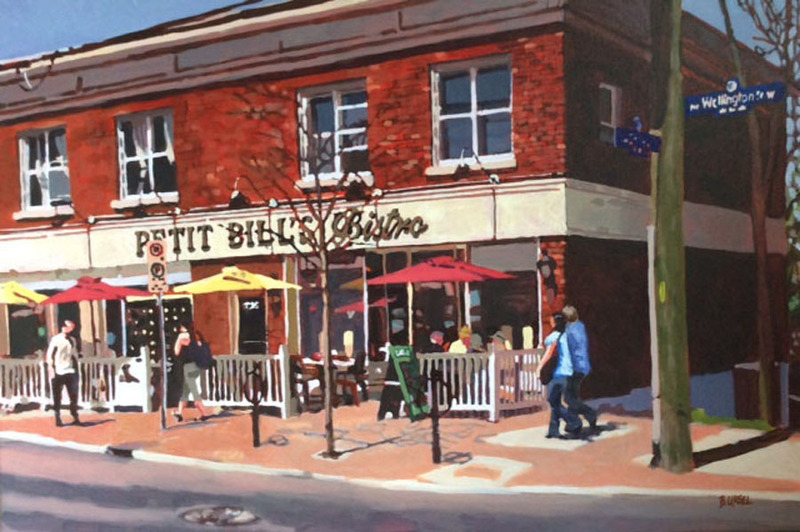 Petit Bill's Bistro's 10th Anniversary & their vintage West Wellington building! 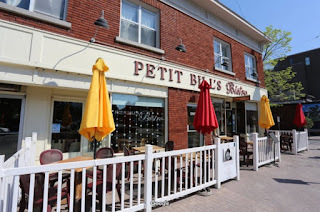 I read last week that Petit Bill's Bistro recently celebrated the 10th anniversary of their opening on Wellington Street west, at the corner of Smirle. An impressive anniversary for any restaurant for sure, and for me it was a realization of how fast 10 years has gone by. It still seems like not that long ago that Juniper's was in there, or before that even, John's Quick Lunch when I was a kid. I've always liked the little 2-storey building which has housed a variety of different establishments during even my lifetime, let alone it's 90 total years of existence. This building has popped up in my research a few times over the years, and with Petit Bill's anniversary, I felt the timing was right for a profile of this venerable Wellington Village structure. I also recently tracked down an exciting, rare old photo of the building, which sealed the deal! 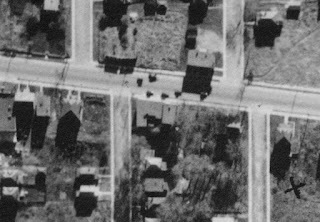 In 1893, just prior to the Stewarts selling their entire farm to the land syndicate Ottawa Land Association, Smirle acquired "lot 7" on Richmond Road (which would of course later be renamed Wellington to as far as Western Avenue), as well as two more lots in behind fronting Grange and Smirle, for $300, giving him a parcel of land 200 feet wide and 216 feet deep off Richmond. Archibald died in 1897, and his young daughters sold the property in 1904 to a 44-year old British Spinster, Miss Mary French for $2,300. French remained in the home until her death in September of 1920. 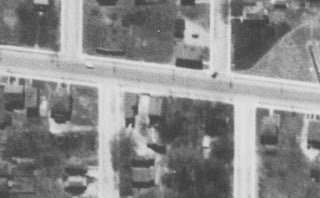 After she died, her executors sold the whole property (so the eastern 3/4 of the block of Wellington between Grange and Smirle, all the way back to what is now 118 Smirle) to Mrs. Isabelle S. Wallace (wife of Alfred Wallace), in July of 1922 for $5,500. At some point in time in the mid-1920s, Isabelle Wallace made a family deal to sell the property to her brother, James Henry Russell. I say family deal because the sale was never registered in the land registry records. All transactions remained under Isabelle until she sold in 1944. However, the owner in civic records by the late 1920s was J.H. Russell, and it was he who would make this block of land come alive. 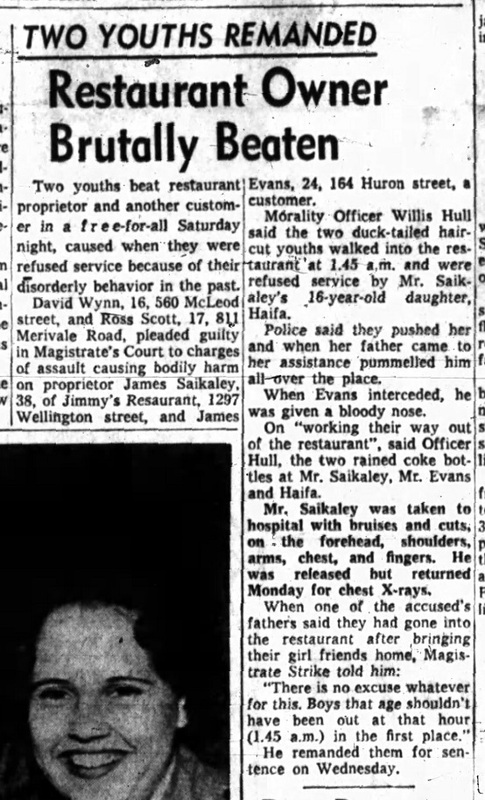 James Henry Russell in 1927 was a 57-year old recently retired tailor. He was born in 1869 in Kars, and had moved to Ottawa in his twenties. 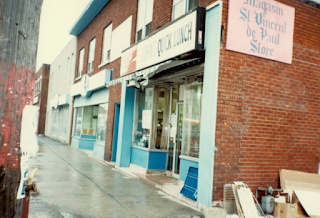 He worked for many years for the Ottawa tailoring firm Burwash and MacDonald. He was married, with one child, a teen-aged daughter. 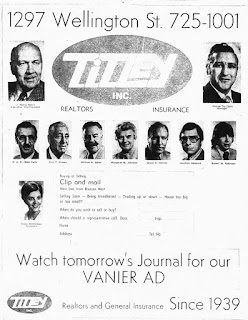 He lived on First Avenue in the Glebe, and in his retirement had become actively involved in real estate. Around 1926, he constructed the brick duplex at 118-120 Smirle Avenue, and in August of 1927, took out a building permit to build another duplex next door, which is now 122 Smirle Avenue. It seems unlikely Russell himself was involved in the physical house building work, but he certainly was responsible for overseeing the construction. It was his action on Halloween day in 1927 that is most notable, at least for the purposes of this story. On that date, the last building permit in the city of Ottawa for the month of October of 1927 was issued to J.H. Russell, in the amount of $6,000 for the construction of a "brick veneer store and apartment." This was the future Petit Bill's building. Here is the first tidbit which may surprise you: to the naked eye, the building which now houses Petit Bill's and Kulu Trading looks like just one big building. But it's an illusion! The building was actually constructed at two separate times! The eastern portion of the building siding on Smirle Avenue was built by Russell using the building permit issued in October 1927, but the western half of the building came later. Minor changes to the exterior features make the building appear to be one building, but interestingly, that is not the case. More on this below. Russell (through his sister) took out a mortgage for $4,000 on November 7, 1927 towards the construction of the building, and construction would have occurred throughout the winter of 1927-28. Aerial view of Wellington Street, May 5, 1928.
between them. Quite a few trees west of the stone house. Upon completion of the building by the spring of 1928, tenants were found to occupy the space, which was originally given the civic address 1307 Wellington Street (the addresses on Wellington would later all be renumbered in 1946). 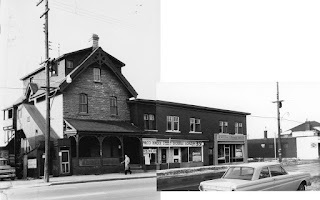 The upstairs apartment (1309 Wellington) was rented to Edward J. Burroughs and his wife Hawthorne (so says the record books), while the store was rented to Mr. Joseph Nathaniel Harmer. 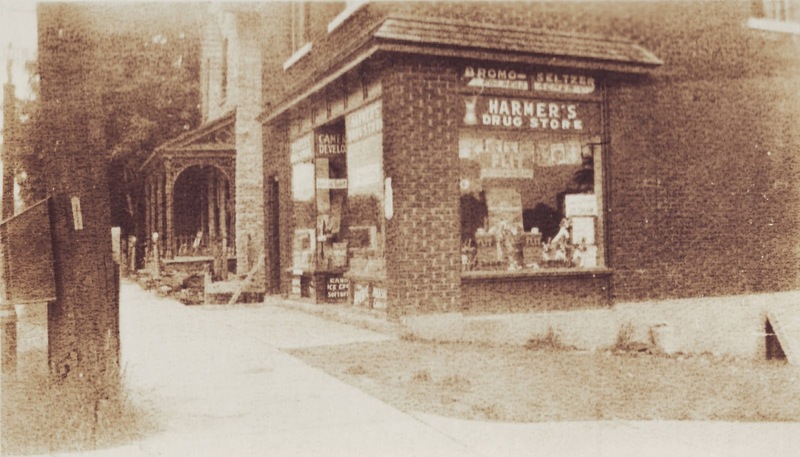 Harmer was a druggist, who had been operating his shop across the street in what is now the Won Ton House building, since 1923. 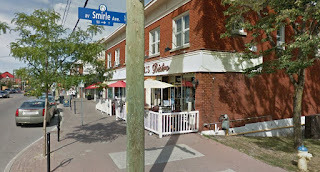 In fact, Harmer was the Postmaster for what was known as the Elmdale neighbourhood, with the first post office for Wellington Village opening in his original store on April 29th, 1927. 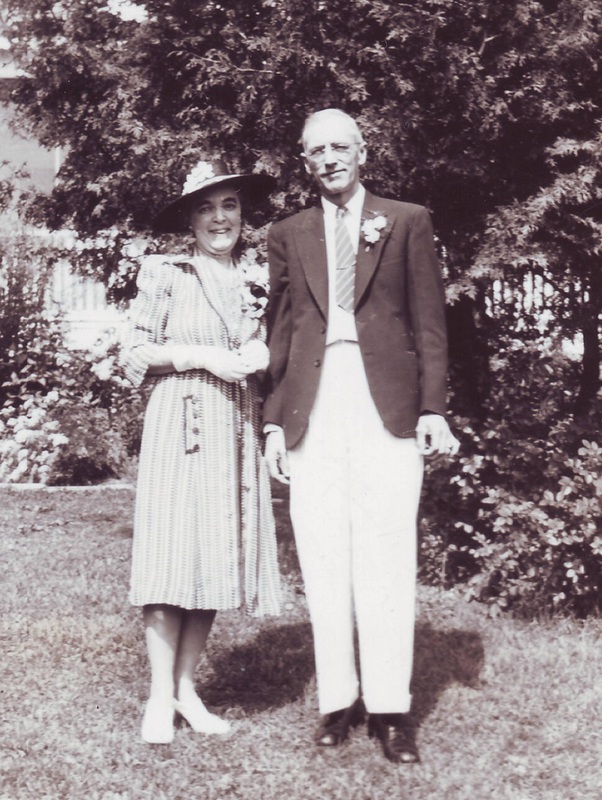 Joseph Harmer was born in Thamesville, Ontario in 1885, and had married Emma Nita Bounsall in 1908. The couple had three children within the next 10 years, two sons and a daughter. 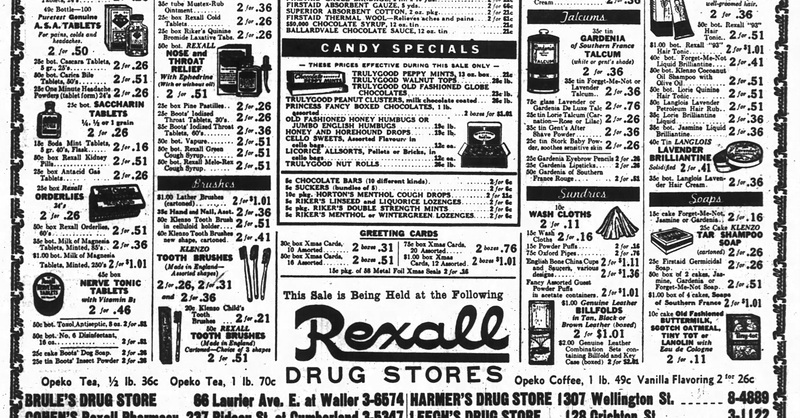 During WWI, the family moved to Toronto, where Joseph found work as a manager of one of the Louis K. Liggett Co. chain drug stores. However, while in Toronto, 2-year old daughter Eleanor passed away, and a year later the family moved back to Ottawa. 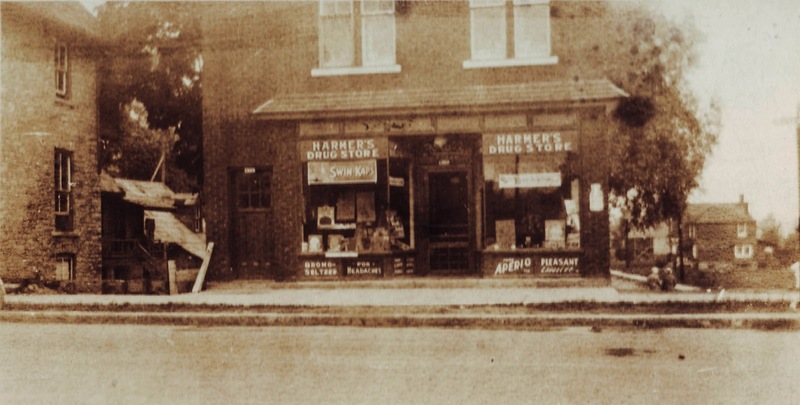 It was then that Harmer opened his own shop at Wellington and Warren. 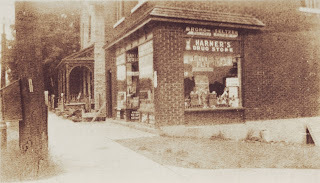 I can't say why Harmer moved into the new building across the street in early 1928, but he did. 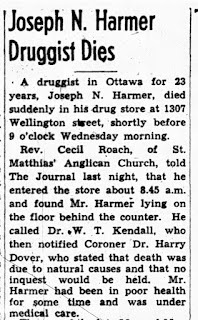 (Note, Harmer was of no relation to Frederick W. Harmer, Clerk for Nepean Township for nearly 40 years (1866-1905), and for whom Harmer Avenue is named. It is only a coincidence that Joseph Harmer opened his store close by). This view is looking at the corner of the building, taken the same day. I've included a present-day shot from roughly this angle as well. I believe that is an old fire alarm box on the hydro pole. 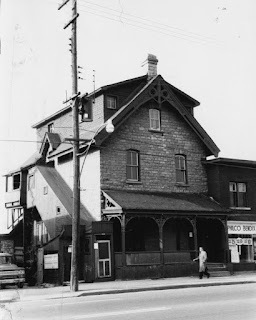 In August of 1928, Russell took out a new building permit to complete the last of his construction on his block of land, to build a "brick veneer and cinder block, stores (and) apartments, Wellington Street" in the amount of $5,000. This was in essence, the second phase of the Petit Bill's building. Construction began right away, if not even a little before the permit was issued, as the Ottawa City Directory of 1928 includes a listing for the unfinished building, as "Vacant". This fact makes the above photographs all the rarer, as it shows the building during the brief 4-6 month period that it stood alone without its addition. I do not understand why Russell chose to build in two halves, it is odd for sure. The difference between the first and second 'phase' of the construction can be seen when looking at the building up close. There is a slight coloring difference in the bricks between the two phases, creating a slightly-noticeable line. full building is complete adjacent to the stone house. The new portion of the building featured two stores on the main floor, and a residence upstairs. 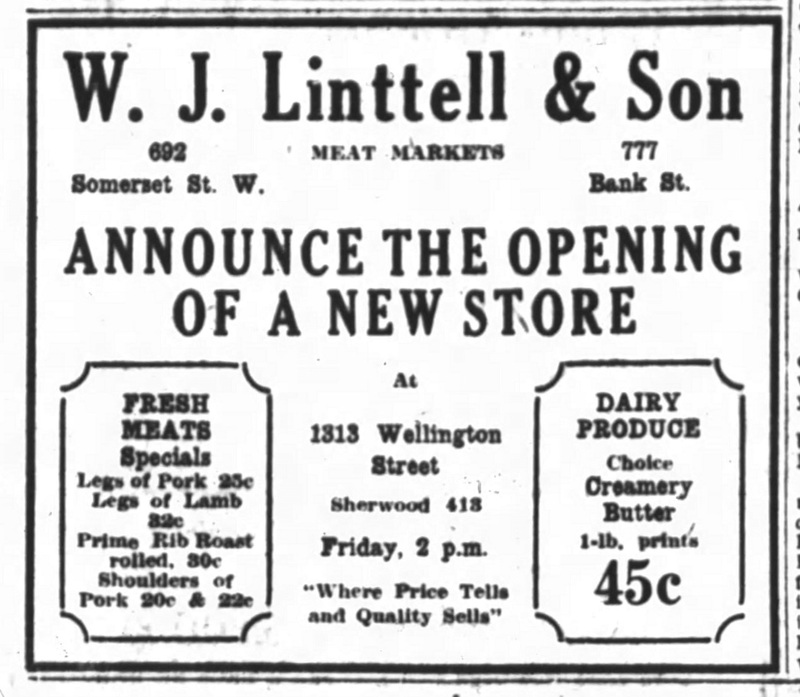 The first occupants of the new commercial space were Mrs. Flora Drysdale, who operated a hairdressing establishment in the eastern half (now part of the extension of Petit Bill's), while the western half (now Kulu Trading) was occupied by a butcher shop, William J. Linttell & Sons Ltd. Linttell's held their grand opening on Friday November 9th, 1928. 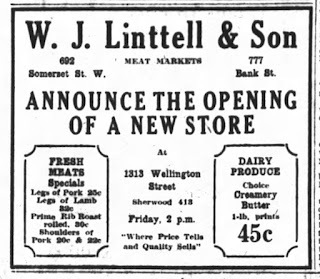 In 1934, Linttell moved to the opposite side of Smirle Avenue, and became the first occupants of what is now the Fresh Air Experience store. 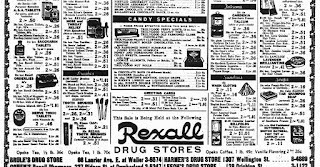 For a few years in the early 1930s, it appears part of Harmer's shop was dedicated to the sale of radios, by the Rev Radio Company. Of course televisions were still twenty years away, and radios were beginning to enter their golden period of popularity. 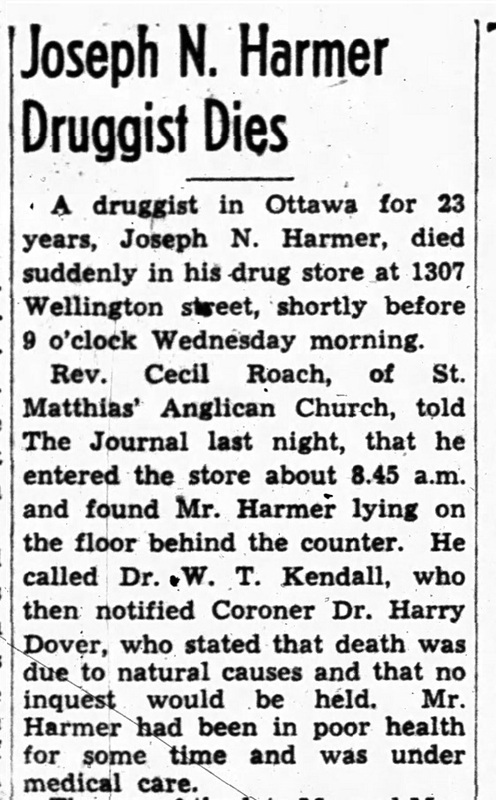 Tragedy struck on the morning of November 14th, 1945, when Joseph Nathaniel Harmer took a heart attack while in his store, and died at age 60. Sadly, very little biographical information on Harmer remains today. News accounts on him are sparse, his granddaughter who I spoke with never met him; he died a few years before she was born. His granddaughter Johanne did state that her Mom stated that Joseph was "the sweetest kindest man in the world", and that her Mom adored him. He was a devout Anglican, and was heavily involved in St. Matthias Church. 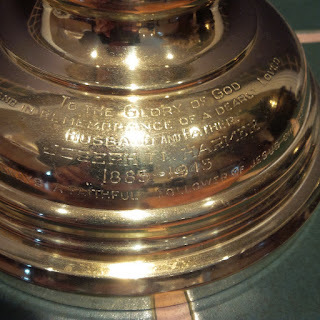 When he passed away, a memorial cross was erected in his memory in the Church, which stood until the closure of the Church. in honour of her grandfather. 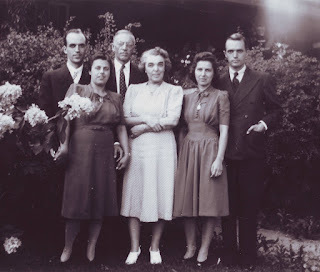 and Joseph Jr. (at right), with their wives. 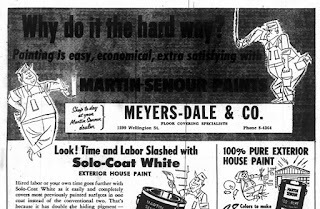 Circa early-1940s. Joseph's family continued to operate the drug store for a few months, before the business was soon sold to Norman D. McMillan. 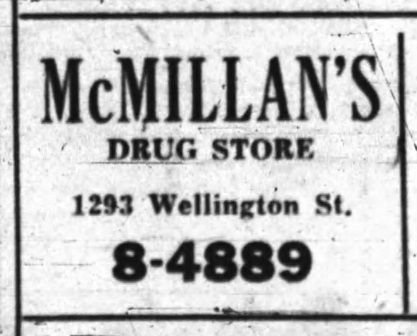 McMillan kept the drug store open until 1963, and over time also purchased the store property and the old stone house next door, which had become a mixed commercial and apartment house. 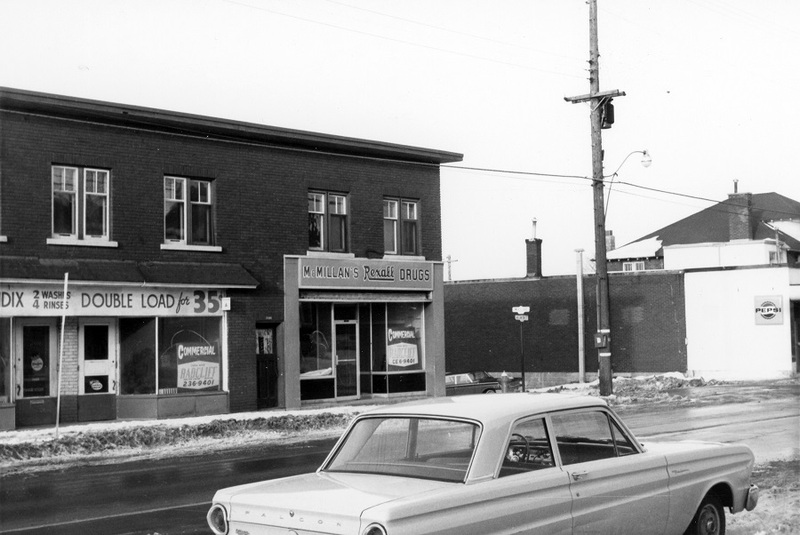 During that same year of 1963, McMillan was ordered by the Housing Standards Board to demolish the stone house. It was deemed to be in poor condition, and likely dangerously so. 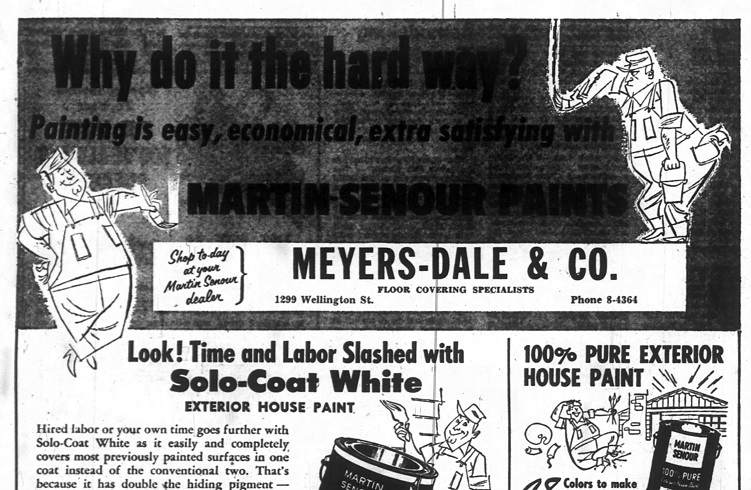 The Housing Standards Board, via the Urban Renewal Project, had set out to enforce owners of decrepit buildings to either repair them to a certain standard, or force their demolition. 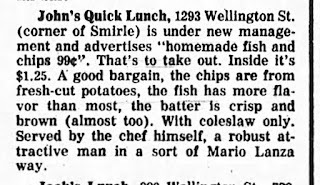 Thus sadly, the historic Smirle home was torn down within a few years. Two apartment units until at least 1963. Records do not seem to indicate anyone living there from 1963 to 1987, but they could be incomplete. By 1988 was listed as a single apartment, as I believe it continues to be. The tenants residing here the longest were Mrs. Flora McClelland her family (1941-1955) and Oswald and Annie Hughes (1939-1951). 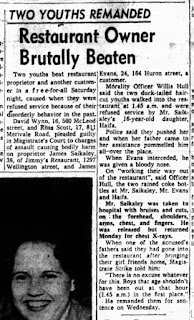 On January 17th, 1940, two-year-old Jean Lecuyer, who was residing in the upstairs apartment, died at home when one of the beans she had been playing with became caught in her windpipe. 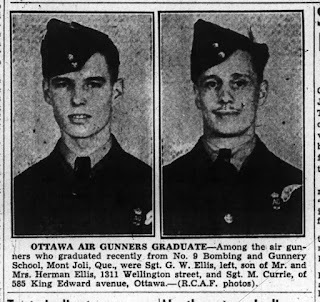 Like in many homes in Ottawa and throughout Canada, the call to war took young men from their families during the 1940s. The residents of 1293-1299 Wellington were no different. 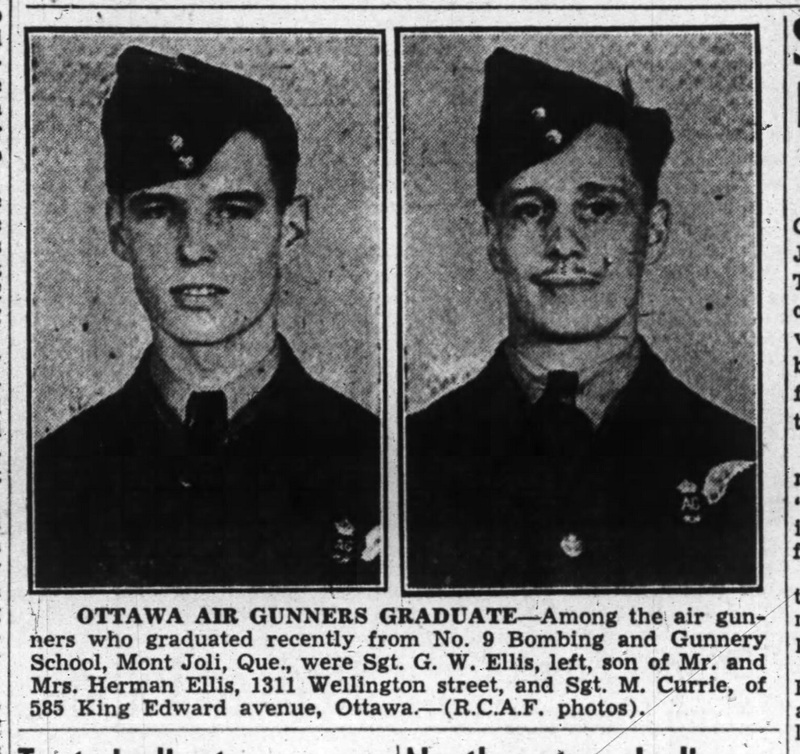 G. W. Ellis, a young soldier who lived in the upstairs apartment, appeared in the newspaper upon graduation from the No. 9 Bombing and Gunnery School in Mont Joli, Quebec. Three other soldiers in WWII lived upstairs at a time during the 1940s as well. Pte G. McLelland, son of Flora McClelland (the longest resident of the upstairs apartment), had been overseas for five years, and returned home in April of 1945 after fighting in the Battle of Germany. Meanwhile, Pte. V. J. Lebeau returned home in September of 1945, while his brother Rene returned home a month later. In April of 1946, Rene's war bride and child arrived in Canada. The Lebeaus resided in the upstairs apartment upon their return. It is interesting to note that during WWII and just after, there was a major housing shortage in Ottawa. All available space was encouraged to be used for housing. As a result two of the storefronts were converted into residences for several years in the mid-late 1940s! (This would encompass the Kulu Trading portion and the western extension of Petit Bill's). shop in view at right, then a laundromat. 1960. 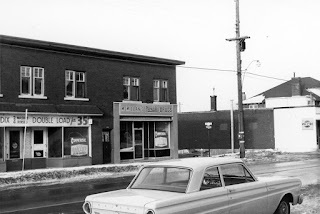 1960s, before the stone house was demolished. 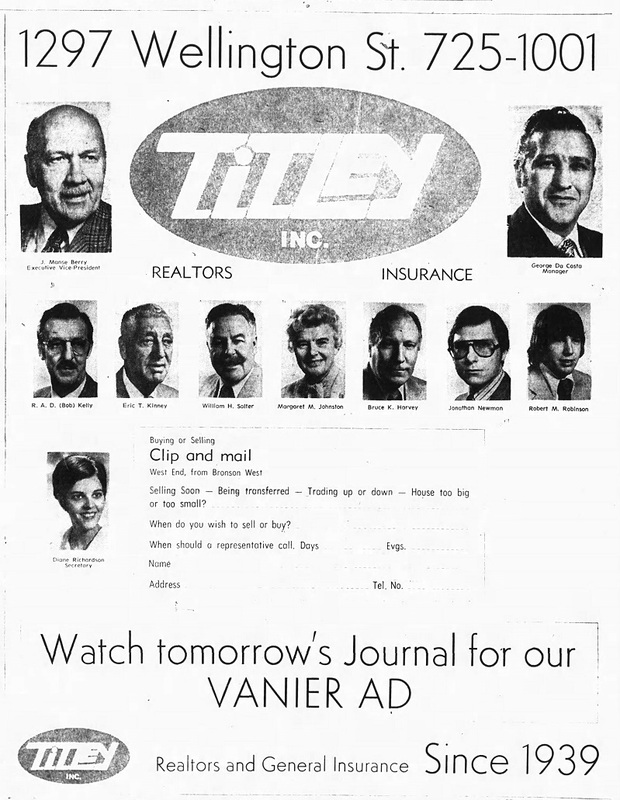 Real estate agents occupied the west half of the building from approximately 1966 to 1979. 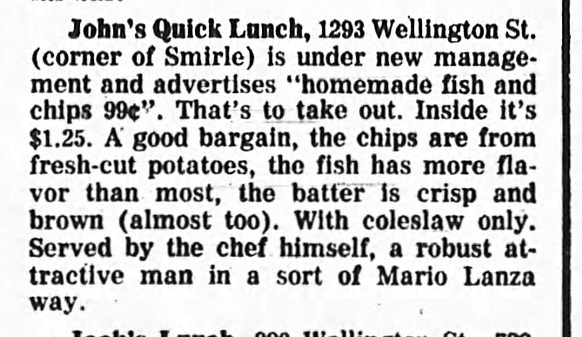 John's moved further west up Wellington to its current home in 1989, and was replaced at 1293 Wellington by a jazz nightclub, and later a series of short-lived restaurants. Junipers opened just after labour day in 1996, operated by chefs Michael Sobcov (formerly of the Maple Lawn Cafe and Domus Cafe) and Richard Nigro (also of Domus). 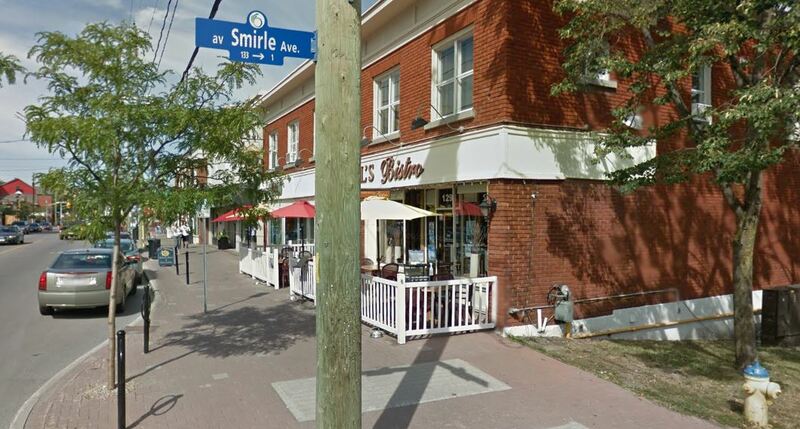 The restaurant moved to 245 Richmond Road around Christmas 2006, where they remained until closing in November of 2014. 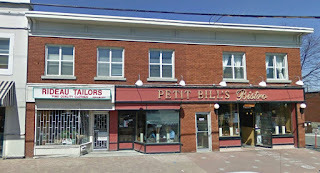 Petit Bill's was opened by Randy Fitzpatrick, Sharon Garvey and Terry Fitzpatrick in April of 2007. The restaurant was named for "Little Bill" Fitzpatrick, father of the three owners. Sadly, "Little Bill" passed away a little over a year later. 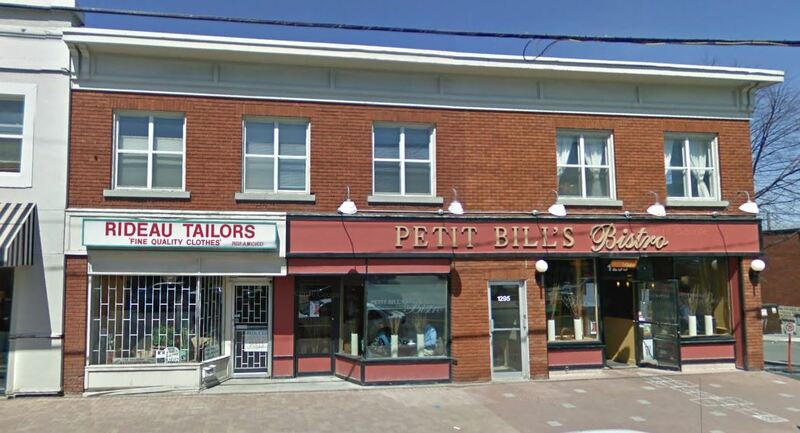 April 2009 view of Petit Bill's and Rideau Tailors. Note the original red sign, and no patio yet! 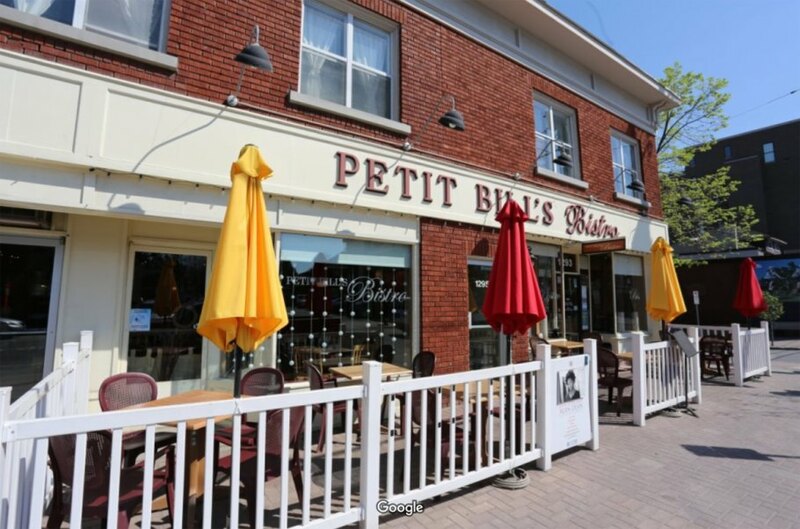 Petit Bill's has been a great success story for the neighbourhood and is well appreciated not only for it's great food and eclectic menu, but also for its friendly owners and staff, who go out of their way to make this great old building a little extra special. They accomplish this in little ways, such as their annual Christmas window display, water bowls for dogs walking by, small treats for kids, or just a cheerful hello to anyone happening by, perusing the menu, or perhaps looking up at the building and reminiscing about a particular memory they might have from this building's interesting 90 years of history! Thanks for more great reporting, Dave. 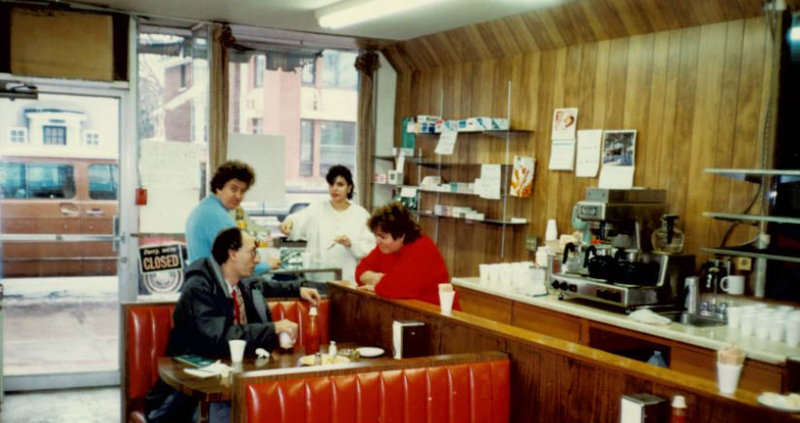 I have a feeling that in 1975-76 the Petit Bill's corner was occupied by some sort of variety store, although it may just have been that the lunch counter sold penny candy, etc. My kids were very small at the time, but they were allowed to go up there to buy stuff. I can't remember the name, but it wasn't John's.